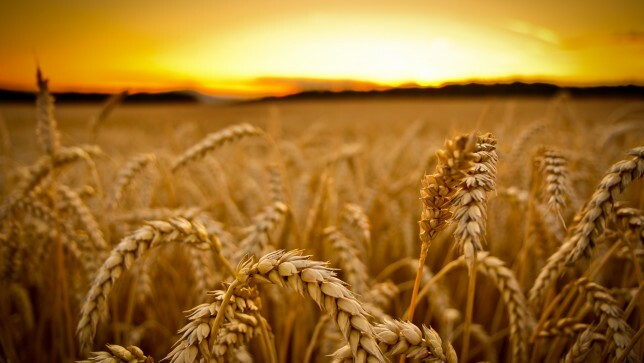 U.S. Department of Agriculture’s Animal and Plant Health Inspection Service (APHIS) has announced Friday that twenty two unapproved genetically modified (GMO) wheat plants have been discovered in Washington State, sending export markets in to panic. The discovery of the unapproved illegal GMO wheat has led to a crack down on Friday in important US wheat export markets around the World. The South Korean Ministry of Food and Drug Safety said it had asked APHIS to provide details on the unapproved wheat and methods of inspection and added that it has already suspended customs clearance for some wheat imports from the United States. Chinese, Japanese and European Union authorities are also set to react to the news over the weekend. “APHIS has taken prompt and thorough action in response to this discovery and has no evidence of GE wheat in commerce,” the Service announced on Friday. “Due to the small number of affected plants and based on available information about MON 71700 and CP4-EPSPS, (the Food and Drug Administration) has concluded it is unlikely the wheat presents any safety concerns if present in the food supply as a result of this incident,” APHIS continued. The GMO wheat was developed by Monsanto and is referred to as MON 71700, containing the CP4-EPSPS protein, the APHIS notice concluded. There are no GM wheat varieties for sale or in commercial production in the United States, as APHIS has not deregulated any GMO wheat varieties. This is the third discovery of genetically engineered wheat in the U.S. in recent years. In the spring of 2013, a farmer in Eastern Oregon found glyphosate-resistant wheat in one of his fields. An APHIS investigation was unable to pinpoint the source of the wheat. In September of 2014, a different variety of glyphosate-resistant wheat was found at Montana State University’s Southern Agricultural Research Center (SARC) in Huntley, Montana, on a research plot, where GMO wheat had been legally tested 11 years before. Monsanto, which had said all the experimental grain was destroyed or stored away, was sued by U.S. wheat farmers over the 2013 market disruption. The company settled the lawsuit and agreed to pay farmers and grain groups more than USD 2.5 million, but did not admit liability. So it looks like the farmer was spraying his wheat before harvest and two of the plants didn’t die. Monsanto owns the USDA and anything coming from USDA or APHIS is first approved by Monsanto. Monsanto could care less about consequences from “leaks” like this. I work in the grain industry and the amount of damages from previous “leaks” was more in the neighborhood of tens or hundreds of million dollars. Them paying $2.5 million was a complete joke and just goes to show the power that they have in our government. Are the farmers confused? They get monetary awards for a preceived wrong in finding GMO in their fields in 2013 then 2016 turn around and give 200,000 back to have someone genectically engineer a gluten free wheat. What about [say it slowly) geeneticcalllyy ennginnneereedd do we not get. Its all making a poision concoction that we can not ingest without chronic illness and widespread malnutrition. Unbelievable. Go organic, it’s not perfect but a lot safer than conventional farming. This is very strange that these plants appeared in the middle of nowhere. It turns out that a few GMO Alfalfa plants appeared in the fields in NW Alberta in an area that’s the supplier of organic Alfalfa seeds for a large part of the world. To my knowledge GMO Alfalfa has never be allowed in Canada; just for a couple of years in the Southern US. How did they get to Alberta? Probably the same way the wheat GMOs got to Washington state. I wouldn’t put it past Monsanto et al to just drive around the countryside throwing seeds indiscriminately in diverse fields when no one is watching. . So they can come forward in a few years and announce that we’ve been eating GMOs for years and there’s no problem, see! . So they can sue any farmer who refuses to buy Monsanto’s seeds but actually saves their own seeds which naturally will be polluted with GMOs.